TESDA offers a short course which is currently in demand today. This training will help you improve your pronunciation, intonation and accent together with your grammar, if necessary. This training helps you in honing your communication skills, specifically in English. Call Center Agent is one of the highest paying jobs in the Philippines and Abroad. Their job is to answer inquiries by clarifying desired information, establishing insurances policies by obtaining client’s information; determining eligibly and maintaining database. TESDA Call Center Training Course only takes 100 Hours to complete. Know the basics of Western Culture. Nursing/ Fresh Graduates are welcome to apply. AMA Computer Learning Center of San Jose City, Inc.
Asian Foundation for Entre-Pinoy, Inc.
Beatitudes Technological & Theological College Foundation, Inc.
Christian College of Tanauan, Inc.
Digital Communication & Technological College, Inc.
Divine Word College of Laoag, Inc.
Eastwoods International Institute of Science and Technology-Guagua, Pampanga, Inc.
First In Learning Electronics Training Center Inc.
Florance Learning Center of Anda Inc.
how much it would cost if you enrolled in this profram? thanks. how much caregiving nc11 fee? Magkano po kung mag eenrol sa call center course. gutso mo magtraining without any payment? We got sitel academy training. Just drop by eton cyberpod ortigas pasig city. What if po, kung high school Grad lang po ako? Can i take a free course pa din po ba? Ok good thanx sa info. Is there free tesda call center around, in, or near Las Piñas City? Hi I would like to ask if your undergraduate of 2 years course your not eligible for the course? Is there an assessment after the training? may training or course po ba available for high school graduate only. I didn't finished 2nd yr college but i completed 72 units.. my course is bachelor of secondary education.. am i qualify to train as call center agent? Good day ! 2nd yr college lang po ba ang makaka avail sa call center training ? good evening, how to enroll? is high school graduate qualified? Hi is the training still available? Thanks. Meron po b kyo online call center training or course? How much po? just my 2 cents.. There are call centers or BPOs that accept people who haven't reached 2nd year college. It's about gaining experience at lower centers and working your way up to different centers by gaining experience. Most of them prefer a person with a good track record of experience rather than a fresh grad with a diploma. It's how you sell yourself starting from your resume to the actual interview if you're able to land one. They are constantly hiring though because a lot of people center-hop. I wouldn't mind helping someone out if you need some tips. I worked for JPMorgan Chase, ANZ and currently here in California, USA for another financial institution. I have a lot of free time lately and wouldn't mind sharing a thing or two. Hit me up at phoenix_flamez@yahoo.com which is my public email. pardon the redundancy, what I meant is it's about gaining experience at lower call centers and working your way up to different centers. Because anyone will attest to it that experience is a good way to get your foot in the door especially at the more known and prestigious centers. does it have tuition fee in call center training? Magkano po ang fee sa ABE training center for call center training? Thankyou po sa sasagot. This is Zarah Dumilon of Staffvirtual, Inc.
We are a Business Process Outsourcing (BPO) and HR Services company with offices in California and the Philippines, and Clients around the world. Since 2009, everyone from Silicon Valley tech startups to Fortune 500 Companies trust their business processes to us. We harness top Talent in the Philippines to work transparently for companies around the world. We would like to propose a partnership with your BPO training academy, where graduating students of yours could be assured job offers once they graduate from your academy. Simply tell us the graduated students who need work, we'll recruit them, and they'll work in our modern offices - under our direct supervision. Our powerful and flexible Outsourcing and HR Solutions drive workforce innovation and reshape our Client's businesses. Hope we could set an appointment with you so we could present our company’s vision and how we could make our companies work and benefit from each other. Meron po bang online training lang? hi im taga manila po ako gusto ko po magtraining nian saan po banda sa manila? Available pa po ba ung sa may antipolo ? Hi, taga north fairview po ako. 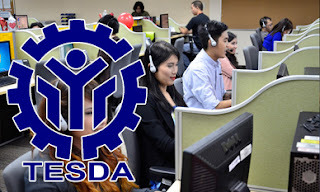 Gusto ko lang po mgtanong kung saan ang pinakamalapit na Tesda accredited free call center training?